Recommendation: Not for the faint of heart. I did not like this book. It scuttled through my life with all the uncanny agility of a centipede, darting first one way, then the other, all while I was frozen in place—unnerved; unwilling to look away. Often, scenes in The Impossible Fairy Tale build toward cataclysms that we can see, but cannot avoid. Occasionally, the terror is unexpected, waiting around the same corner where we expect relief. Even worse are the moments when a doom lies undetonated, postponed for an indefinite amount of time. It’s an unpleasant read, one cover all the way to the other. A long strand of hair clings to my pillow. It isn’t mine, but it’s actually mine. A simple enough example—but warpings like these challenge and reward, unceasing, for 215 pages! I swear I could feel unused parts of my brain light up at each feint, deception, play, and elucidation. Sometimes, Yujoo’s writing feels as brutal as the plot it describes. In The Impossible Fairy Tale, repetition is a blunt weapon. Fractured clauses halt, interrupt, or skip beats like a broken record or a faulty heart. And the elision that filters out the specifics of pain somehow makes its referent more brutal, rather than less—because we know that it is a violence beyond what the mind can countenance. The novel’s first half focuses on Mia, a “lucky girl”, and The Child, an un-named, unremarkable girl—in opposition to Mia’s luck, The Child is “luckless”, a neutral, a blank. As the story unfurls, we are forced to grapple with the abuse borne out upon The Child (the quote above is one of the most preliminary descriptions of her suffering; the details only intensify as the novel progresses). The Child knows the world through shades of pain, and when it comes time to interact with the world, pain seems to be her chief mode of expression. Violence is cyclical; that promise clings to The Child’s story like nasty mist—if no one intervenes, she threatens a change from victim to perpetrator. Mia’s life is uncomplicated—by aches; by urges; by any awareness of the deep shadows that mark her world like pox. She has two fathers, but understands that as a bounty, and seems to play the two against each other in an innocent, instinctive way in order to get what she wants. (What she wants most of all is a fountain pen—she read once, in a detective story, that you can kill with a fountain pen, if you drop it from the right height. She doesn’t yet know that rather than trying to aim the tip of a fountain pen at someone’s skull from a tall building, it is far more effective to drive the pointed metal tip into someone’s throat, a fact she would have learned if she had read more books. The drama of the novel is catalyzed by a reverse heist of sorts: The Child, for an opaque reason, breaks into school after-hours and adds phrases to the other students’ journals, which they are mandated to keep as a form of writing practice. This re-writing (falsifying; fictionalizing) is a peculiar kind of violence: it is more than an undoing; it is a terrible creating. They are children predisposed to brutality. I killed all four chicks I bought yesterday. I dropped one out the window, I put one in boiling water, I flushed one down the toilet, I left one on the bus, and even though I didn’t kill it myself, it probably died anyway. But these additions—I want to kill; I despise you; It hurts so much I can hardly bear it—are written, are made public, and maybe even true. Sorry to spoil, but without mentioning this, the second half of the book becomes awful hard to write about: The Child appears in the life of the novel’s speaker, an author-figure who (ostensibly) is writing the book we’re reading. It’s a classic postmodern twist, one that doesn’t feel quite fresh at first (perhaps because I have been overexposed to Pale Fire, to Barth, to Vonnegut—even Zdarsky does it!). But this move is rescued from hokeyness by engaging with questions of real moral import. When The Child comes to the author-figure and insists: “You killed…”, we are forced to grapple with an understanding of an author-figure as a perpetrator. Someone, after all, is doing this to these characters, these people. How do we apportion responsibility for tragedy, pain, or violence? What does it mean to enact a fictional violence? What kind of responsibility do we have for the stories we tell and the characters therein? It is no accident that murder-by-fountain-pen is obsessively returned to; that the altered journals spark the story’s conflict; that scars are inscribed on the body. One of the reasons that The Impossible Fairy Tale unsettled me so—one of the reasons I have been unable to write about it in any substantive way since I read it in February, and am only just beginning my approach to substantive thought—is that it asks similar questions of the reader. If the author perpetrates violence, is the reader only a witness? What responsibility do we have for the stories we read? The stories we allow ourselves to be told? The line between an innocent bystander and a complicit one is perilously thin. It’s not pleasant to confront the complicity within, but it is as engaging as it is crucial. 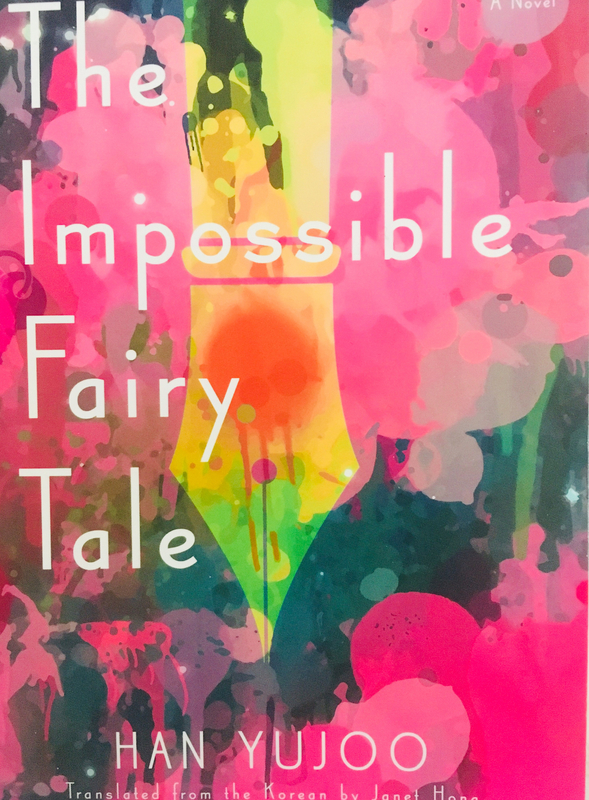 I don’t know that The Impossible Fairy Tale offers a solution, an outline for ethical reading or ethical authorship. I’ll still be reading it twenty years from now, trying to puzzle that out. Here is my best guess, today—may it be improved upon tomorrow. Of course, as we have seen this year—and last—as we have seen for as long as we’ve been seeing—the world does not pulse with light; not always; not everywhere. There are deep shadows, and though we may be lucky like Mia, to ignore those shadows does not protect us from them. And even if it did—what goodness is there, what flourishing, in hiding the world? I don’t know. I don’t think this book has the answer; but I think it asks the question in a new and arresting way. In the end, not you, not anyone, not anything, could ever be completely described; not any of this could become anchored in a single word. There were times I couldn’t bear this, no, I often couldn’t bear it, no, I could never bear it. More dreams, still terrifying in their opacity: a literary prerequisite. Brick snowflakes land on your brick cheeks. Brick dust lands on the brick snowflakes. Brick story becomes brick and petrifies. Brick you will still be brick a million years from now. What should I call you? I write up to this point and then close my brick eyes and spew out brick breath. Content Warning: The dog dies. So does the cat. And the duckling. And…well. It’s a long list. But be warned: the dog dies.